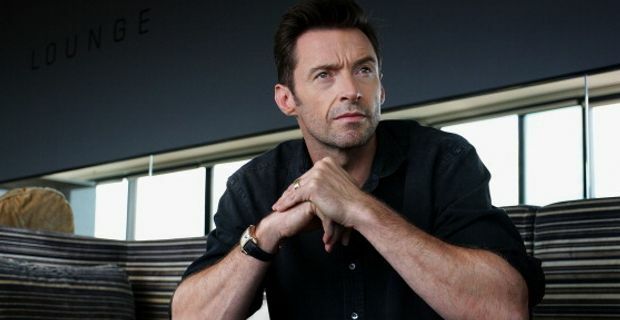 Australian actor Hugh Jackman has been diagnosed with skin cancer. Encouraged by his wife Deborra-Lee Furness, the 45 years old Hollywood star decided to get a mark on his nose checked, only to be revealed it was in fact a form of skin cancer. After the initial shock and following treatment, Jackman decided to use his popularity to warn other people “not to be fool” and get screened. The Wolverine star shared his ordeal on social networks, urging his fans to get skin marks checked and always use sun cream to avoid cancer scare. Oscar nominated Jackman was diagnosed with basal cell carcinoma (BCC),which is the most common form of cancer that grows on the skin. A urgent surgery was required to remove the growth, after which the star took a picture of itself with a nose bandage and posted it on Instagram together with his warning message. It is unclear now if treatment has been successful and the disease fully eradicated. The good news is that by dealing with it in such a pro-active way, Hugh Jackman has managed to turn the shock into a renewed interest into the issue. Skin cancer experts and charities have joined in into urging people to get screened as soon as they feel something may be wrong. Charlotte Fionda, of theKaren Clifford Skin Cancer Charity, warned that basal cell carcinoma can be highly disfiguring, adding that the Hollywood star had been lucky catching it at such a early stage. Earlier this year Jackman was nominated for an Oscar for his performance as Jean Valjean in Les Miserables. Apart from his successful Hollywood career, the Australian actor is also a longtime proponent of microcredit and a global advisor of the Global Poverty Project.